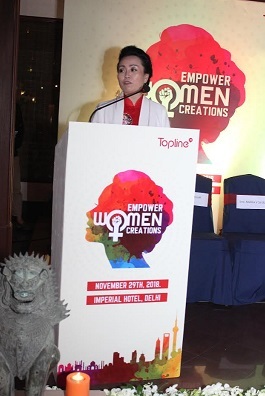 Topline Consulting, the insight-driven strategic communications consulting firm, in its 1st Annual Forum ʻEmpower Women Creations’ deliberated on the contribution of women force in the rise of Asian economies in the coming decade. The panellists reconfirmed the fact as stated by a McKinsey report citing that advancing women’s equal participation in the Asia Pacific could add $4.5 trillion to the collective annual GDP by 2025, an increase by 12%. As avenues for entrepreneurship, leadership and learning open up, a higher percentage of women will participate in the mainstream economy. The power packed panel comprised of the renowned artist and scenographer Padma Bhushan, Shri Rajeev Sethi as the Keynote Speaker. 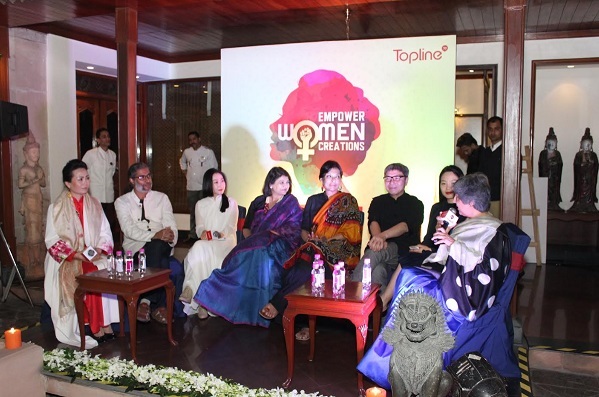 Among the panellists were Dr. Mallika Sarabhai – Padma Bhushan, Classical Dancer and Actress, Ms. Preeti Shroff – Dean MICA, Mr. Jianguo LIANG, internationally rewarded Interior Designer, Ms. Tao JIANG, Internationally Awarded Designer, Ms. Sha WANG, Executive Director, ADCC Life Art Academy, Mr. Nitesh Mohanty, Designer and Ms. Neena Parikh, Director - Uniglobe Perfect Connections. Leading the session was Ms. Yan HAN, chairperson, International Business, Topline Group. Notably, the session had the presence of Dr. Prof. Qingsheng ZHU, President of International Association of Art History (CIHA). He is regarded as an art historian, critic and artist and is also Head of the ʻChinese Modern Art Archiveʻ. Topline Consulting brought together this event with the Chinese Artist delegation travelling to India for an International Colloquium organised by Comité International d’Histoire de l’Art (CIHA). The session deliberated on advancing women’s equality, parity in resources in the countries of Asia and its impact on the economy citing their personal insights. This is the first, in a series of the Annual events under the theme ‘Empower’ that Topline Consulting – India, will come up with. An insight-driven strategic communications firm, Topline Consulting enables organizations to win valuable customers through result-driven brand planning, marketing communication and PR expertise. 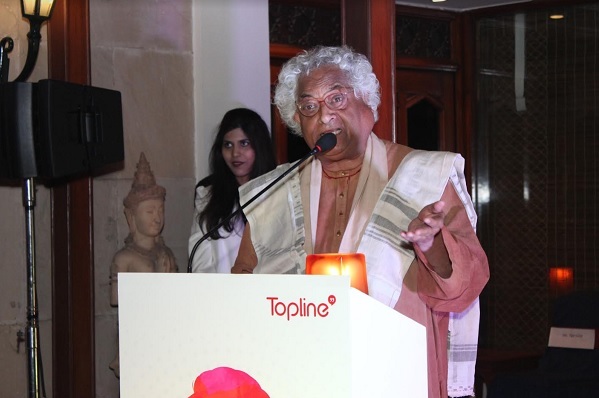 Headquartered in Beijing China, with a strong team of over 350 professionals in its five offices in China and 3 offices in India, Topline Consulting has been setting the benchmark for innovative brand strategy and integrated marketing communications in China. It is this expertise and experience that Topline Consulting India brings to the Indian market marking a paradigm shift in the brand communications, product marketing and service experience for Indian customers and their Chinese counterparts. For more information: Website: www.topline-consulting.co.cn.